CLEAN TITLE! Reviews: * If you care as much about reducing greenhouse emissions as saving fuel, then driving a 2009 Toyota Camry Hybrid is one way to appease your social conscience while still providing your family with a roomy and comfortable car. The Camry''''''''s strong resale value carries over to the hybrid version as well. Source: KBB.com 2009 Toyota Camry Hybrid Awards: * 2009 KBB.com Brand Image Awards We are offering this vehicle for sale to the PUBLIC instead of selling it at the AUCTION. These are mostly Trade-ins. Some are drive-able with minimal issues and others may need to be towed off site. These are AS IS and it will be up to the customer to do their due diligence before purchasing and to obtain their own license plates. There are some great BARGAINS here and worth your time to check them out. --- www.utahautomaxx.com --- 801-489-0500 . 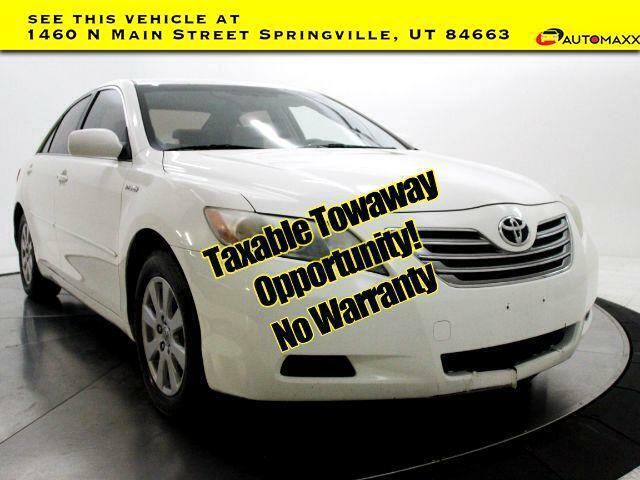 Message: Thought you might be interested in this 2009 Toyota Camry Hybrid.